What is the Best-Looking Car You Can Buy for $50,000? Image: Kristen Lee/Jalopnik. This is the 2018 Maserati GranTurismo. You can’t get this for $50,000 but you can buy one that looks just like it for that price. Let’s be real, friends—car purchases aren’t always rational. You can say you want about safety features and good fuel economy, but cars can be just as much of a fashion statement as a nice watch or a pair of jeans. So if you wanted exotic car looks but don’t have exotic car money, what do you choose? This weekend I spotted a Maserati GranTurismo, every time I see these cars I have the same reaction: “Damn, that is a fantastic looking car.” That’s without even hearing the Ferrari-sourced V8, which brings its own set of charms. 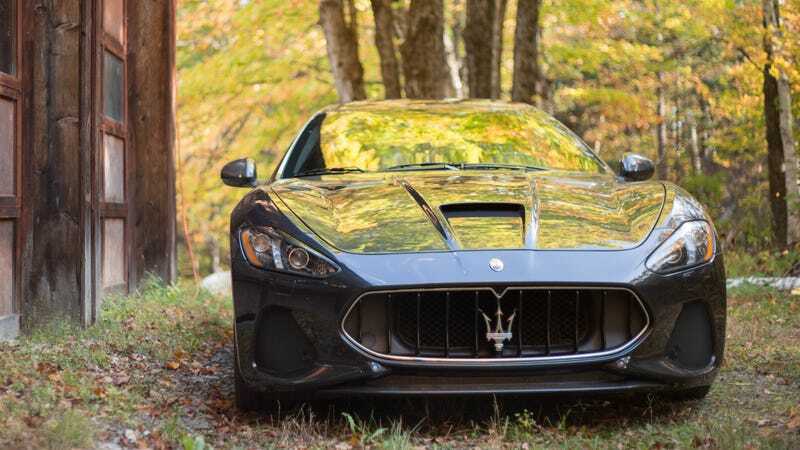 The GranTurismo is one of the oldest exotic cars still in production; the first model debuted way back in 2007. While the interior and the technology could probably use an update the styling has aged surprisingly well. And here is the best news, you can score one of these beauties for under $50,000. Now, I’m not saying buying an out-of-warranty Italian exotic is a wise way to drop fifty grand. It won’t be an easy road for you. But if if you are going for style, that is an incredible value. Is there a better-looking car for $50,000, new or used? Make your case in the comments. Why Would Anyone Want An Outdated Maserati GranTurismo?